Sound Imaging provides high quality MRI parts, coils and services at low prices with fast turnaround. Rest easy knowing we have decades of experience, and a team of experts happy to assist with your MRI solutions. Sound Imaging repairs and refurbishes all brands of MRI parts and coils. Coil repair starts as low as $1250. Sound Imaging saves you money on OEM service contracts, with planned maintenance, labor, full service contracts that can be customized. Sound Imaging's exclusive line of MRI accessories includes MRI Stereo, MRI Visor, Magnet Watch, SAMM System and SAMM-MD. Shop for refurbished MRI parts and coils online, or call (866) 530-7850 for a free quote. Preventive maintenance and emergency calls. MRI parts and coils repaired to like-new condition. Sound Imaging offers a wide variety of imaging services, including quality GE MRI and CT parts, preventative maintenance and service contracts, installation and de-installation, refurbishing and upgrading your imaging equipment. Save money on OEM prices with quality and certified used imaging equipment. Repair all OEM MRI coils and digital boards. We pride ourselves on our flexibility and efficiency, and customized service contracts to suit each facility. More About Sound Imaging Inc. Submit a Part Request at any time during normal business hours, and we’ll get back to you ASAP. Visit our Part Request page. Sound Imaging sells refurbished MRI parts and coils that save money on new equipment. There is a low price guarantee and warranty on everything we sell. In business since 1996 and ISO certified, Sound Imaging has the fastest turnaround time in the industry. Do not hesitate to contact us for a free quote. Our team of experts will be happy to assist you. Sound Imaging offers high quality imaging equipment, maintenance and service with the fastest turnaround time and a low price guarantee. 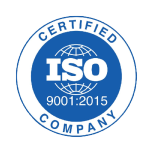 In business since 1996, we are ISO certified and have decades of imaging experience. We repair and sell all major manufacturers, including GE, Hitachi, Philips, Siemens and Toshiba, as well as CT, PET, PET/CT, mammogram and ultrasound parts. We also provide servicing contracts, mobile MRI and CT units, and imaging solutions. Check out Sound Imaging’s line of MRI accessories such as MRIStereo.com and the MRI CCTV Patient Camera. Sound Imaging has been in the MRI business since 1996 from our headquarters in San Diego, CA. With a strong network of hospitals and imaging centers and our industry know-how, Sound Imaging is able to secure MRI systems, coils and parts directly from the seller. We have an on-site team of trained electrical engineers with decades of combined experience, and a big warehouse full of MRI parts. Get in touch today to learn more. Since We Started Using The SAMM System we've had many positive remarks from patients because it increased their comfort. William has been great with myself and SimonMed all together .He has gone above and beyond the expectation. if he doesnt have it he will look for the part/item I need . We need more Williams around. Get all the latest news right to your inbox.